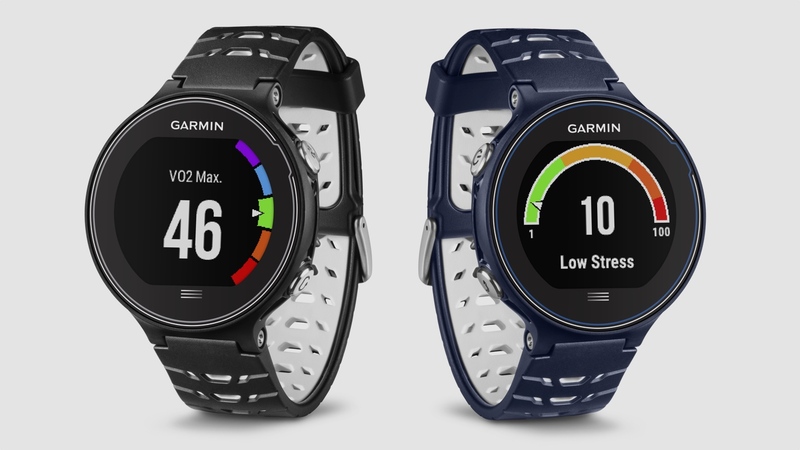 Garmin has unveiled a new trio of GPS running watches as it refreshed its line-up of sports wearables. It's taken the wrapper off a new flagship Garmin Forerunner 630, which packs even more running analytics and data than its predecessor the Forerunner 620. In addition, the line-up has also been expanded to include new Garmin Forerunner 230 and 235 running watches as well. Starting with the Garmin Forerunner 630 (pictured above), users now get notifications on the wrist with a paired smartphone and there's a host of new data collected. The 630 will now record stride length and vertical ratio, which is an expansion of the existing cadence and oscillation metrics, which can be used to make runners more efficient. It will also guide users on recovery times and readiness by rating lactate threshold and performance condition to inform runners when they're too tired to train and are risking injury. And as with all running watches these days, you can wear it for activity tracking of steps and calories when you're not out for a run. Optical wrist-based heart rate tech hasn't made it to the new Garmin flagship. The chest strap does provide more than just heart rate data, and extra sensors are well placed for tracking vertical oscillation and other technique measurements. If those stats are important to you, you'll have to put up with a chest strap for now. However, heart rate tech does make it to the new Garmin Forerunner 235 (above). The second Garmin watch to get heart-rate to built in after this year's Forerunner 225. The difference? Well, it seems this time around that Garmin has ditched Mio's tech and gone for its own, which it's dubbed Elevate heart rate technology. We're speaking to Garmin to find out more. The Forerunner 235 also adds smartwatch style notifications and added VO2 Max stats, which can offer better insights into recovery times. Along with it comes the Forerunner 230, which doesn't feature wrist-based heart rate tech, and instead relies on a paired chest strap. The Garmin Forerunner 630 is priced at $399.99 on its own and $449.99 with a heart rate monitor. The Forerunner 235 and 230 are priced at $329.99 and $249.99 respectively.